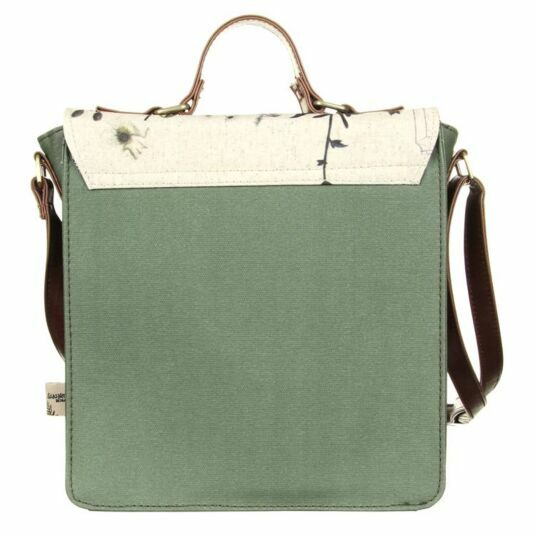 This mini bag is a traveller’s best friend; with leather fastenings, a beige hue, and a grainy look, it aims to mimic natural or recycled paper from a botany book. The front is covered with images of plant specimens, with Latin plant names written in a cursive script. 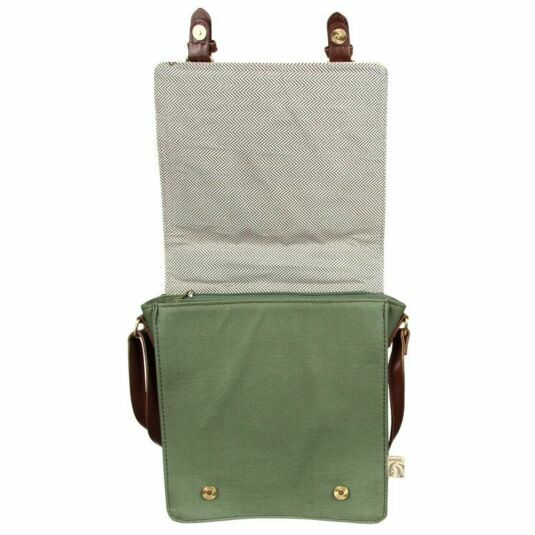 The rest of the bag is a sage green, with the leather straps which keep the bag closed with magnetic metal fastenings. The bag also has a zip, for keeping personal belongings safe and secure. The interior of the bag is a striped material, and features an interior zipped pocket for further privacy of your more personal or valuable items. 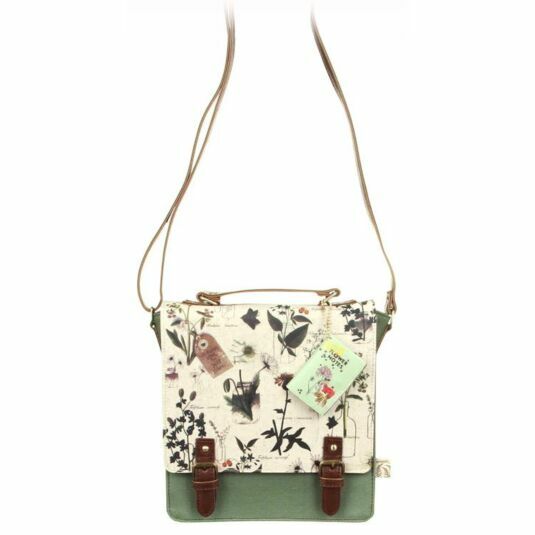 This mini bag also has a long faux leather strap, adjustable for wearing over one’s shoulder or simply holding in one’s hand. 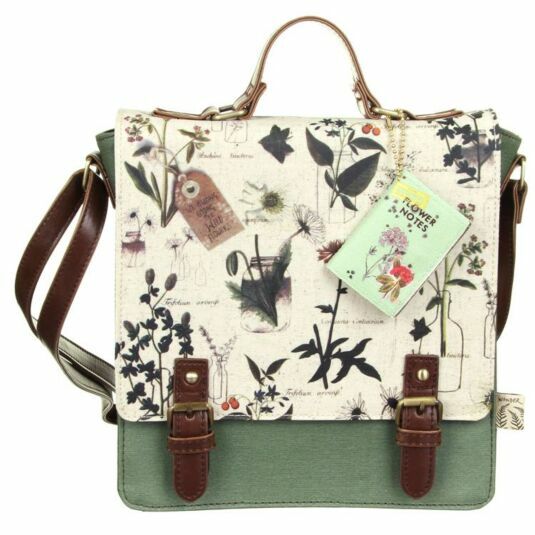 Additionally, it comes with a small faux leather tag, designed to resemble a library book called “Flower notes” which opens with a metal clasp to reveal a place to write the owner’s name, address and telephone number in case the bag goes missing. A lovely gift for travellers and nature lovers, appealing to young and old, from teens to mothers and grandmothers. Disaster Designs’ Wander range is perfect for the hippie in us all. Wander is for those with itchy feet, that aching wanderlust to get up and run without looking back. 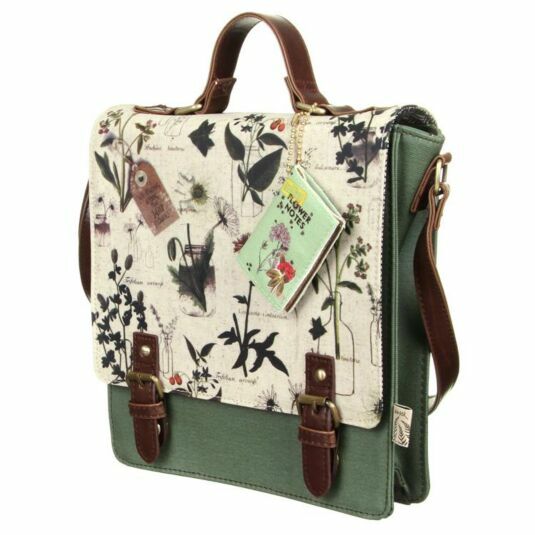 Every piece is covered with flowers, feathers, and nature at its finest. The bags and wallets all have a grainy, earthy look with soft brown faux leather exteriors, while the scarves and accessories are elegant and light, with intricate detailing and soft tassels.